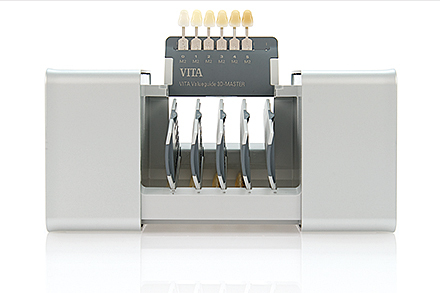 Beautiful teeth visible at a glance – a million times over. 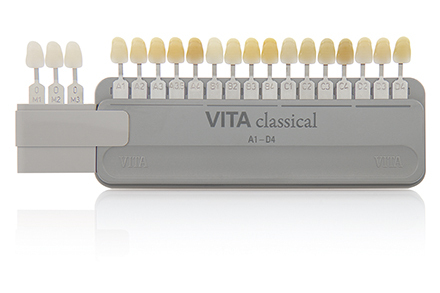 The area comprising the natural tooth shades is just a small section within the entire color spectrum, however, it provides its own world of color based on the factors of lightness, chroma and hue. 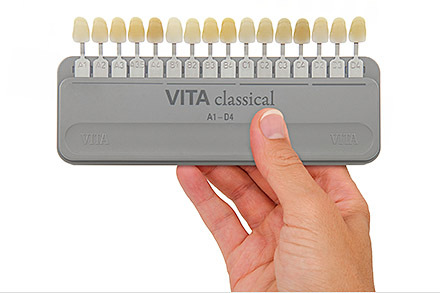 The VITA classical A1–D4®system is a basic solution that offers 16 natural tooth shades and one that has been internationally established for decades. 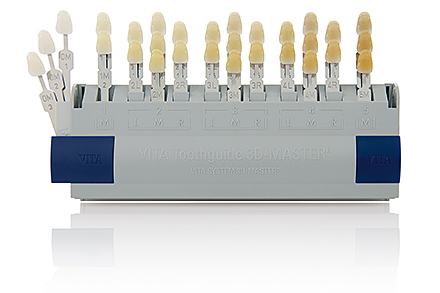 The VITA SYSTEM 3D-MASTER®, which offers 26 natural tooth shades, has also been used successfully around the world for many yearsand reproduces all known natural tooth shades systematically in the scientifically developed tooth color space. The basic solution with a plus. 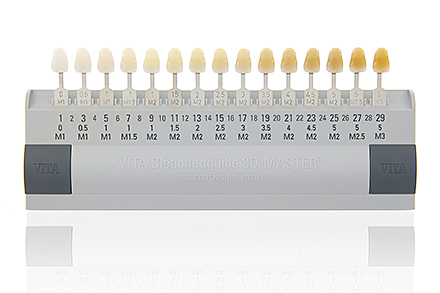 Linearguide, Bleachedguide and Toothguide. Efficient shade determination.